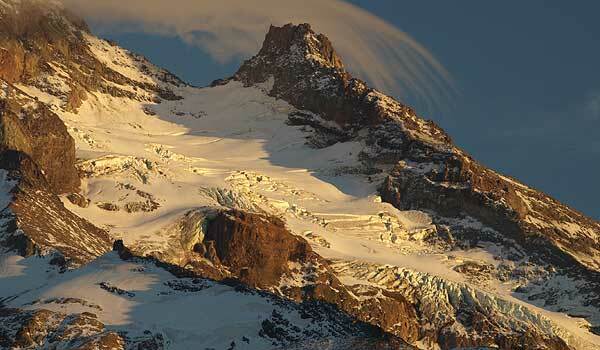 Reid Glacier, on Mount Hood’s rugged west flank, is one of the most interesting of the mountain’s 12 glaciers. This tumbling body of ice flows between the towering walls of Yocum Ridge and Hawkins cliffs, with the tall spire of Illumination Rock soaring above its deep crevasses. 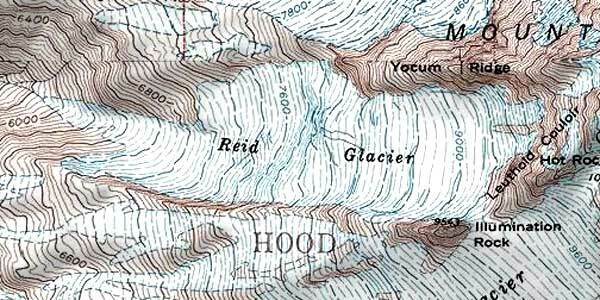 Oddly, Reid Glacier is the source of the Sandy River, whereas the Sandy Glacier gives birth to the Muddy Fork – some confusion on the part of early cartographers, perhaps? And while the Reid is among the most visible of Hood’s glaciers from Portland, few hikers actually make the long climb to the high meadows of Yocum Ridge for a close-up view of the glacier. Reid Glacier is also unique as the only one of Mount Hood’s glaciers that wasn’t named for a local pioneer, or simply given a descriptive name. Instead, this secluded river of ice was named to honor Harry Fielding Reid, the eminent geophysicist who is considered to be the father of modern thinking on faults and tectonic forces. 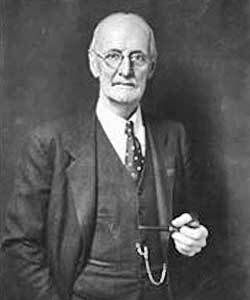 Reid never actually visited the glacier, though he was an avid mountaineer and did study the White River Glacier extensively. The Mazamas honored Reid by naming the glacier for him at a campfire ceremony held on the mountain on July 16, 1901. Harry Fielding Reid’s research took him around the world, and his groundbreaking work at Glacier Bay in Alaska was recognized by the naming of yet another Reid Glacier for the scientist. The Alaska glacier by the same name is much larger, of course, and is a tidewater glacier flowing into the Reid Inlet in Glacier Bay. Thus, the smaller Reid Glacier on Mount Hood lives in the shadow of its larger sibling in Alaska, with few biographies of Harry Reid making mention of the more diminutive Mount Hood namesake. Today, the Seismological Society of America awards its top honor, the Harry Field Reid Medal, for outstanding contributions to the fields of seismology and earthquake engineering.